"Top Secret: License to Spy" opens Saturday at the Discovery Center. 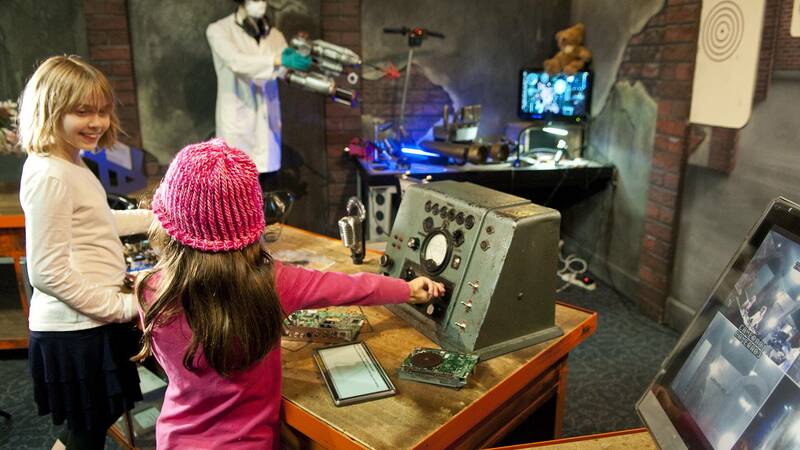 With the Discovery Center's new exhibition, anyone can be a secret agent girl or boy. Top Secret: License to Spy opens Saturday at the Don Harrington Discovery Center, 1200 Streit Drive, offering 21 interactive exhibits that focus on the science and technology of spying and espionage. "It's huge. It's going to take up the entire west wing of the Discovery Center," said Aaron Pan, executive director. "And it's fascinating. If you've ever loved espionage, spycraft and problem-solving, this is the exhibit for you." 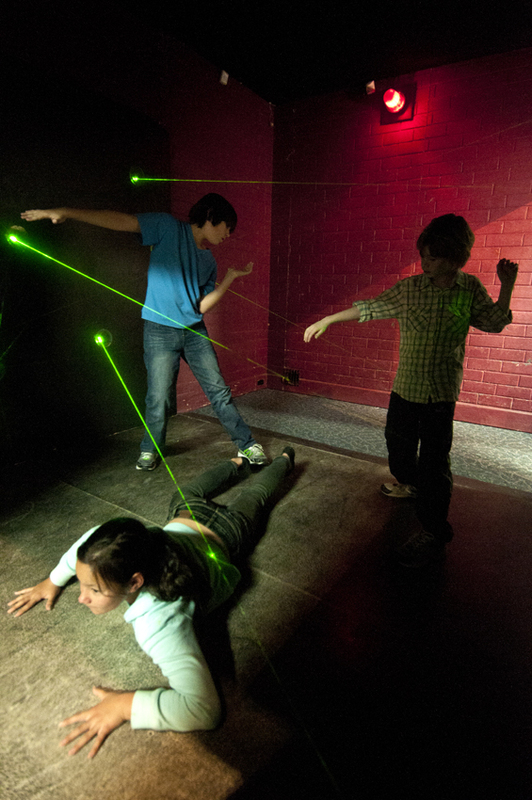 Kids navigate a laser maze in this promotional picture for "Top Secret: License to Spy." The exhibition, which will be up through Jan. 8, was created by Scitech in Perth, Australia, and puts visitors inside a James Bond-style mystery with exotic locations and high-tech equipment, according to a news release. Visitors are given a scenario and six suspects when they arrive, then are challenged to gather intelligence to solve the case. The interactive exhibits involve spy satellites, hidden cameras, night vision, sound beams, codebreaking and more. "We made sure that people of all ages can (enjoy the exhibition)," Pan said. "This one is definitely for everybody." The center is open 9:30 a.m. to 4:30 p.m. Tuesdays through Saturdays (and Mondays during Amarillo Independent School District holidays) and noon to 4:30 p.m. Sundays. The center is closed through Friday for installation. Members will get a sneak peak at the exhibition at a VIP preview party from 5:30 to 8:30 p.m. Friday. Admission is is $11 for adults or $8 for children 8 to 12, students age 13 to 22, military and seniors.